Most people don’t think of lentils as pre-exercise sustenance, but in my experience, they provide real staying power, a notion that’s backed by research. In a study published in the International Journal of Sports Medicine, Greek scientists served athletes either lentils, another non-pulse high glycemic index starch, or a placebo, and then put them through various treadmill workouts. The lentil eaters were able to last 23 percent longer – that’s impressive! They also experienced better blood sugar regulation over the entire span of the trials, which likely played a role in generating the notable results. Because of lentils’ ability to enhance endurance, I often recommend them as part of a pre-exercise meal. Many of my clients are surprised to learn that cooked, frozen lentils are delicious blended into fruit smoothies, but chilled lentil lettuce cups are also a great option. Post-exercise, lentils also make a terrific recovery food. Their unique combination of lean protein, carbohydrates, B vitamins, key minerals, and antioxidants help athletes replenish nutrients they’ve used up during exercise, and heal from the wear and tear a workout puts on the body. A lentil and vegetable soup, topped with chopped avocado, is one of my favorite post-exercise go-tos. 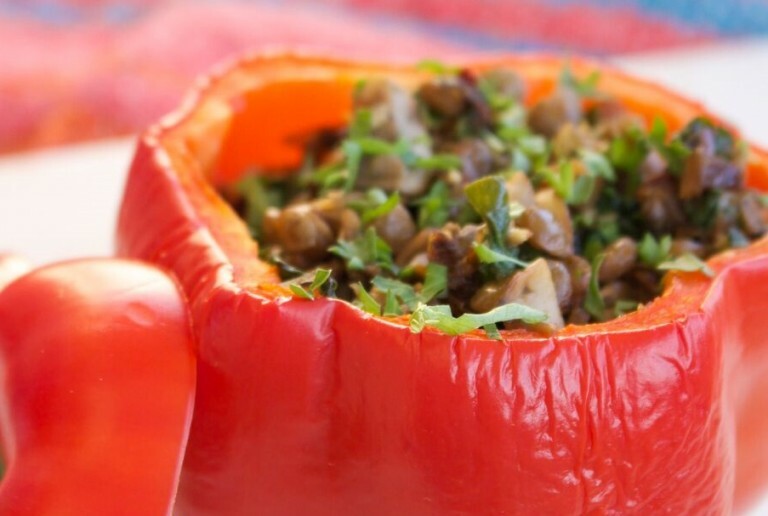 Other delicious options include: a gingery vegetable and salmon stir fry, served over a bed of lentils; a veggie, lentil, and herb omelet; or a savoury lentil stuffed pepper. Because many of my athlete clients feel, perform, and recover better when they avoid gluten, lentils, which are naturally gluten free, become a nutrient-rich staple, to help prevent nutritional gaps. In addition to incorporating them into meals and snacks, lentils upgrade the nutritional value of gluten free well-earned treats, like blondies and cookies. Being an athlete, or even exercising recreationally also requires a time commitment, which means fewer hours left for cooking, and once again lentils to the rescue! My clients are pleasantly surprised to learn that lentils don’t require soaking, and they cook in about 15 minutes. For clients who find themselves in frequent time crunches, I recommend cooking a larger batch of lentils on a less busy day, to stash in the fridge or freeze, so they’re ready to eat or heat. This simple strategy helps keep health-conscious eaters on track, so they don’t miss out on important nutrients that can impact energy and immunity. Finally, lentils are an affordable, readily available superfood. Lentils’ superb nutrient profile, combined with the myriad of studies supporting the health and weight loss benefits of pulses, which include lentils, warrants their superfood status. But you don’t need to spend an arm and a leg, or go to a gourmet or specialty store to find them. This familiar food, which you may already have in your cupboard, is a powerhouse that will leave you full and satisfied, without weighing you down. So whether you’re a pro athlete, a weekend warrior, or you’re just starting to become active, make lentils one of your essential eats. They’re a perfect fit for a fitness lifestyle! Win 1 of 10 copies of Cynthia's book: Slim Down Now: Shed Pounds and Inches with Pulses – The New Superfood. Cynthia Sass is one of the first registered dietitians in the country to be Board Certified as a Specialist in Sports Dietetics by the Academy of Nutrition and Dietetics. She has served as a sports nutrition consultant to four professional teams, and counsels professional and competitive athletes in numerous sports through her private practice, in New York City, Los Angeles, and across the United States. Sass holds master’s degrees in both nutrition science and public health, in addition to a personal trainer certification and formal culinary training. A three-time New York Times best-selling author, Sass is a frequent national TV guest and keynote speaker. Her newest book, Slim Down Now: Shed Pounds and Inches with Pulses – The New Superfood, includes over 100 recipes Sass personally developed, as well as chapters devoted to the power of pulses, mindfulness meditation, and how to look forward to and enjoy exercise. Recipe by Cynthia Sass, MPH, MA, RD, CSSD, as seen in her latest book "Slim Down Now: Shed Pounds and Inches with Pulses -- The New Superfood"